Check out your nails. How's that polish lookin'? If you don't have a time for a full-blown manicure before launching into your Labor Day weekend festivities, stop by Space519 after work tonight. 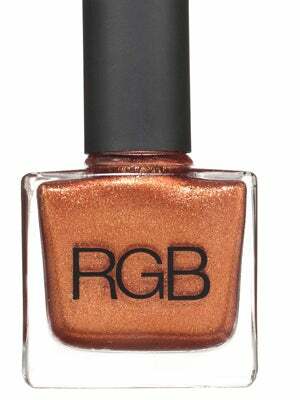 The urban general store of sorts is hosting a fall collection preview party for luxe nail-polish brand RGB. If you haven't yet familiarized yourself with this polish, please do. RGB sees nail color as "an extension of one's wardrobe," and really considers it an accessory just as much as handbag. They don't try too hard with names, either. What you read on the bottom of the tiny bottle is what you get. You definitely know what you're getting into long before the first coat even has a chance to dry. A couple of other pluses for this polish: the high-shine formula is chip-resistant and free of chemicals. But don't take our word for it. Have nail artist Astrowifey provide you with a complimentary polish change and see for yourself. And while she's working on one hand, keep the other one free for holding a flute of bubbles. Who said the weekend starts tomorrow? When: Thursday, August 30 from 4 to 7 p.m.
Where: Space519, 900 North Michigan Avenue (between Walton and Delaware), 312-751-1519.